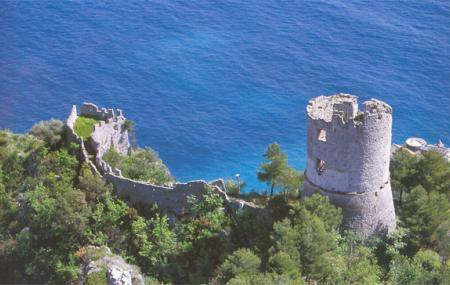 While in Amalfi, hiking up to Torre delloZiro is one of the best gift you could give yourself – if you are fit enough! It requires climbing a lot of stairs to get to the top to enjoy magnificent and stunning views of Amalfi. Don’t forget to carry your camera along – once you are done taking in the views, you will need it to capture the beauty and the moment to cherish forever! Do make a point to climb up tower of Ziro as well – it was built around 15th Century as a part of the Castle as a lookout point. There are two ways to climb up to the top – do make it a point to check with locals on the way lest you forget your way around and get lost. There are plenty stairs before you could climb up to the top and enjoy magnificent views. If any health condition exists, do check with doctor before taking up the steep climb. There are two ways to climb up – do check with locals if you see any on the way. Lather on lot of sunscreen. Carry a water bottle and some snack along as you will not find any vendor on the way. Recommended time to visit Castle is 7 am to 9 am. Hire a cab or get onto SITA bus to reach the nearest point from where you can start the hike. How popular is Torre Dello Ziro? People normally club together Arsenal Of The Maritime Republic and Cloister Of Paradise while planning their visit to Torre Dello Ziro. We stayed at this fantastic place in 2013. It was a great choice we have made. The owner is a very friendly lady, who has also a good taste of food. The rooms were beautiful. The view was fascinating. We walked down to to Amalfi with a great experience. I would definetly recommend this place. Sitting on a side of a luxurious valley covered in lemon trees, Torre dello Ziro will welcome you with tasteful decorations, homemade products and attentive hosts. The terrace is a peaceful retreat to escape from the tourists crowd of Ravello, where you can sun lounge or just admire the stunning views. For sure I'd come back. Wonderful rooms and the best breakfast! Nice walk to Atrani centre and beach. Would defiantly recommend! Once we arrived and got our luggage into our quaint room,we were living as locals would.Lia was so helpful and the breakfasts were great with locally made food. Our party of 8 enjoyed the experience.